Christina began her career in radio at Michigan Radio while a student at the University of Michigan. She was a producer and researcher for The Todd Mundt Show, and then hosted Weekend Edition. 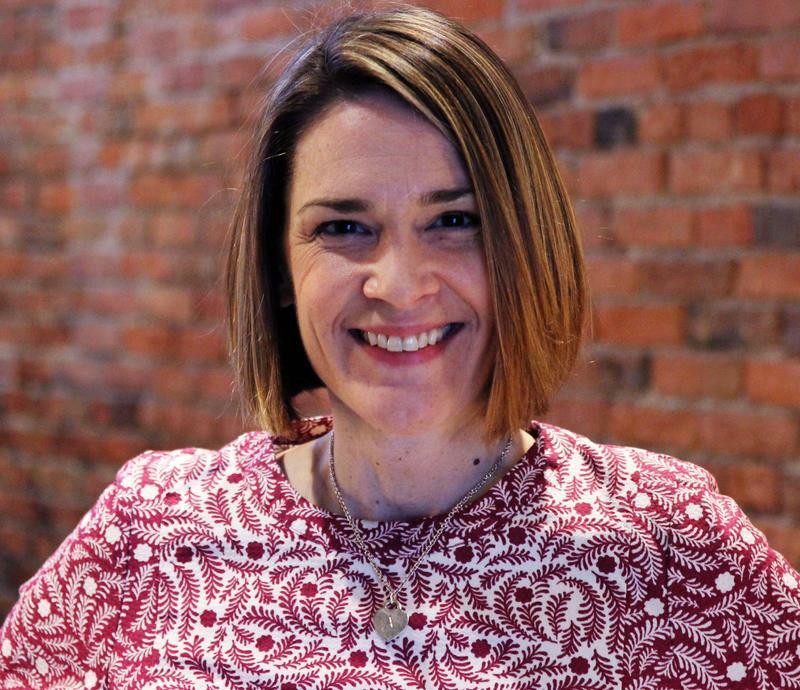 After leaving Michigan Radio to work for a political call-in show at Minnesota Public Radio and then as All Things Considered host at Milwaukee Public Radio, Christina returned to Michigan Radio in 2007 to serve as host of Morning Edition. It’s been almost a year, now, since Governor Rick Snyder took office. In the past 12 months, many long-time political observers have been more than a little surprised at the speed in which the Governor has been able to get his priorities through the legislature. The state has a new business tax and a balanced budget. But, not everyone is happy with what the Governor has accomplished. The state now has some controversial new laws including new power for emergency managers and a law that taxes some senior citizens’ pensions. 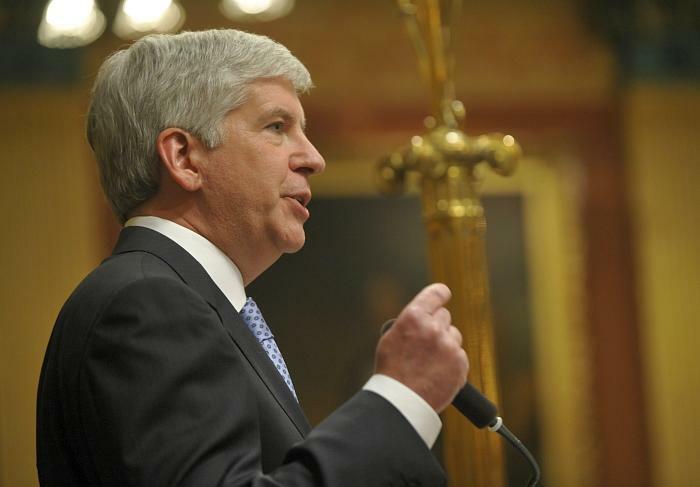 Michigan Radio's Christina Shockley spoke with the Governor this morning, on his way to Lansing, about the challenges he's faced this year and what he hopes for in 2012. Cascades Humane Society in Jackson, Mich. offers pet food and supplies to families who are having financial difficulties. The pet food pantry helps families keep their pets and reduces the number of animals in need of new homes. As part of our What’s Working series, Michigan Radio’s Christina Shockley speaks with Debra Carmody, executive director of Cascades Humane Society, about the pet food pantry program. Sixty-two percent of US households have at least one pet. Yearly pet care costs can range from $500 to $800—an expense that might be out of reach for families that are forced to downsize. “When you see people coming to our agency and they have to relinquish their pets, it’s heartbreaking,” Carmody says. Riot Youth is an Ann Arbor-based group that supports and advocates for LGBTQ teens. For those who don't know, that's lesbian, gay, bisexual, transgender, queer, and questioning. 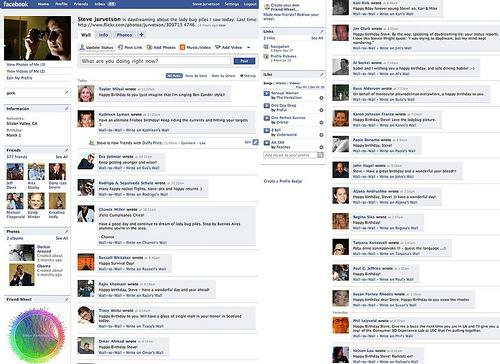 Four years ago the group surveyed students in Ann Arbor schools about bullying and sexual orientation. Using the results of that survey, and drawing on their own experiences, the teens wrote a play about bullying that they perform in schools across the state. Michigan Radio's Christina Shockley spoke with Laura Wernick, an advisor with the group, and Leo Thornton, a 10th grade student and Riot Youth board member. Thornton, who identifies as transgender, said the group has been a life-saver. "I found Riot Youth and I realized there were not just other transgender people—there's a spectrum of other identities within the queer community, and that we all can come together and just be ourselves." The Michigan State Park System won the gold medal award this year for the top state park system in the nation. People use the parks for swimming and boating during the summer, and hunting and downhill skiing during the winter, among a host of other activities. We wanted to find out more about how the parks system affects our lives. So, as part of our series, "What's Working," we called Ron Olson, the Chief of Parks and Recreation. 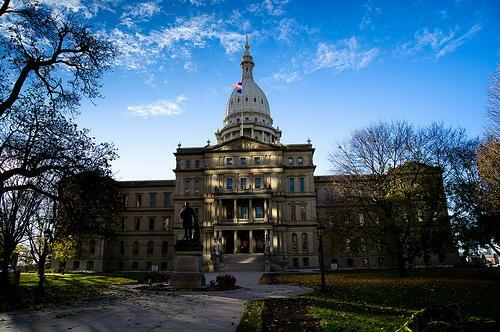 Every Wednesday, we speak with Michigan Radio's Political Analyst Jack Lessenberry about the state's political happenings during the week. On tap for this morning: Detroit's financial crisis, a $60 million budget hole facing state lawmakers when they return back to the Capitol next week, and the 'failure' of the so-called Congressional super-committee. Gene Firn is the founder of Paint for Kids, an Ann Arbor-based organization that mobilizes parents and community volunteers to paint schools. Firn, who teaches a DIY painting class, was looking for practice walls for his students when he learned that the Ann Arbor school system doesn't have a painting department. He thought he could help, so he submitted a proposal. 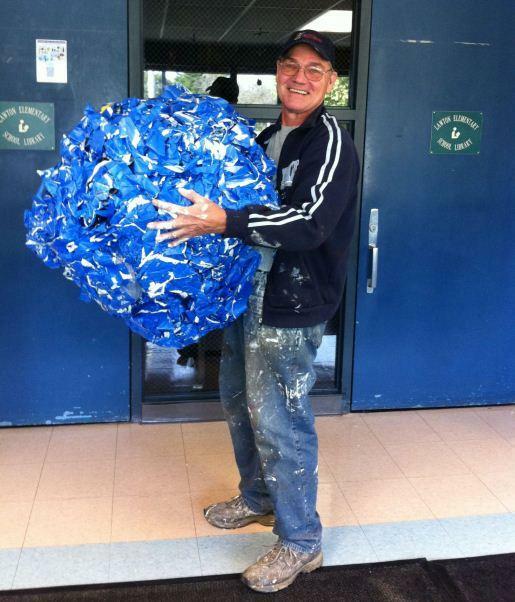 The concept is simple: an experienced painter supervises parent volunteers as they transform hallways and classrooms over holiday weekends. Michigan Radio's Christina Shockley spoke with Firn, who said that Paint for Kids fulfills the needs of local schools, but also attempts to create a culture of volunteering. 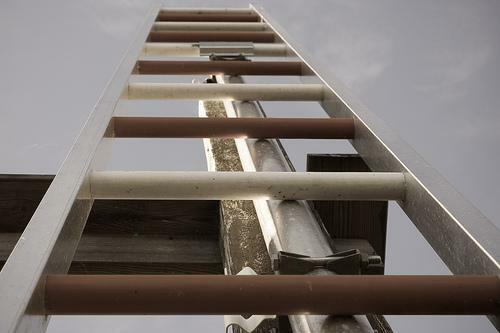 The myth of "Upward Mobility"
Upward mobility: the idea that, if you work hard enough, you can climb the class ladder. It's part of the American Dream, right? That you can pull yourself up by your bootstraps, that you can make a better life for yourself, that your children and grandchildren will have a better life than you do. But, the fact is, upward mobility in the U.S. is just not that easy. And, it doesn't happen nearly as much as many American believe. As part of our The Culture of Class series, we spoke to Economics Professor Steven Haider, of Michigan State University, about why the myth of upward mobility exists and why Americans, in particular, are so apt to believe in it. Inform our coverage: Do you believe in upward mobility? 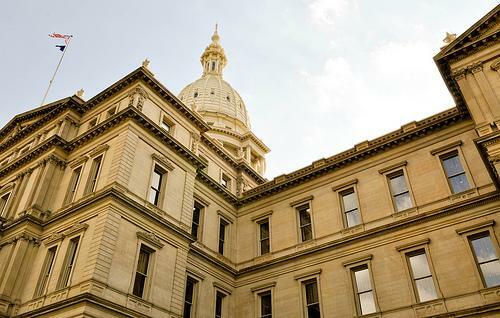 Every Wednesday we take a look at what's happening this week in state politics with Michigan Radio's Political Analyst Jack Lessenberry. On tap for today: Detroit Mayor Dave Bing is scheduled to address the financial crisis in his city this evening, the state House punts on creating a state-run health care exchange, and Democrats in Lansing release a jobs plan. Many service members face hardships when they return from active duty. A program at the University of Michigan puts new vets in touch with other veterans to help guide them through the process of returning to everyday life back at home. Brandon Brogan is the program manager of the Buddy-to-Buddy Volunteer Veteran program. As part of our What's Working series, Michigan Radio's Christina Shockley spoke with Brogan. Why is 'class' so difficult to define? The issue of class has been in the news a lot lately. From the “Occupy Wall Street Movement,” which has snowballed across the country, to accusations of “class warfare” in Washington, D.C.. We’ve also heard recent reports that show the nation’s middle class is shrinking while the top earners’ salaries have skyrocketed. 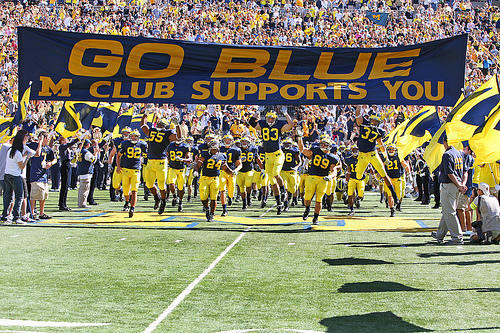 Today, Michigan Radio begins a new series The Culture of Class. Over the next week and a half, we'll explore the idea of “social class” and how it impacts our lives. But, first, we had to ask: What is class? How do you define it? 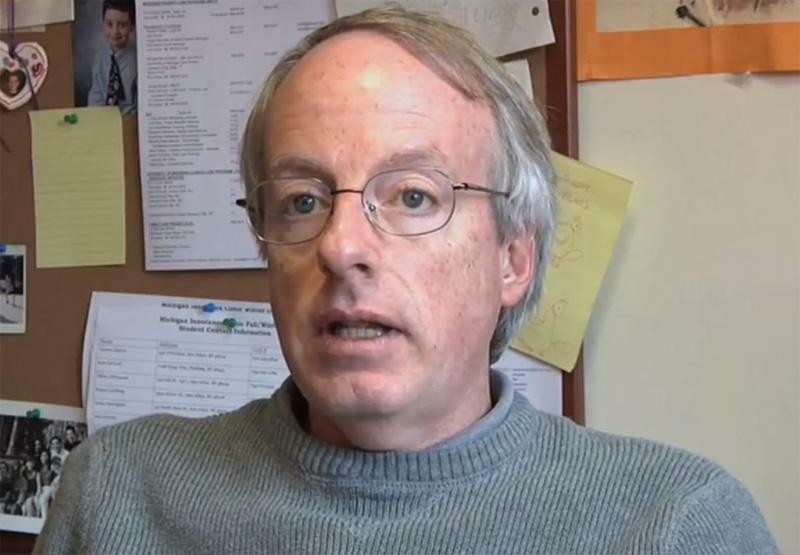 We put those questions to demographer Kurt Metzger, who runs Data Driven Detroit. Inform our coverage: What does class mean to you? Nearly 1.6 million people in the United States will be diagnosed with cancer this year, according to the National Cancer Institute. Half-a-million people will die of cancer this year. But millions of others are affected by cancer in some way. Wives, husbands, children, and friends of cancer patients can also face a crisis when a loved one is diagnosed and treated for cancer. As part of our weekly What's Working series, we spoke with Barb Hiltz, executive director of the Cancer Support Community of greater Ann Arbor. The organization works to help the family and friends of cancer patients. John U. Bacon: "You can either be a PR man or you can be a journalist... and try to tell the truth"
Michigan Radio's Sports Commentator John U. Bacon has a new book out. It premiered at number six on The New York Times non-fiction best seller list this week. Bacon was already well-known at the University of Michigan for the book he co-wrote with Bo Schembechler. So, it wasn’t difficult for him to get access to the Wolverine football program in 2008 when the team got a new head coach Rich Rodriguez, or Rich-Rod. Bacon's plan was to write a story on the spread offense that Rich-Rod had used so successfully at West Virginia. But Bacon quickly found himself in the middle of a new, more complex story. "It started out being a very simple story... and, now you realize, of course, three years later, the real story is off the field: it's what it's really like to be a player, what it's really like to be a coach, NCAA investigations, pressure, losing, ultimately getting fired... I don't think you have to be much of a football fan to follow this," says Bacon. Michigan Radio's Christina Shockley spoke with Bacon about his new book, Three and Out: Rich Rodriguez and the Michigan Wolverines in the Crucible of College Football. Michiganders went to the polls yesterday and elected mayors in three large cities, recalled a Republican state lawmaker and voted for a new city charter for Detroit. We spoke this morning with Michigan Radio's Political Analyst Jack Lessenberry about what the election results mean for the state. 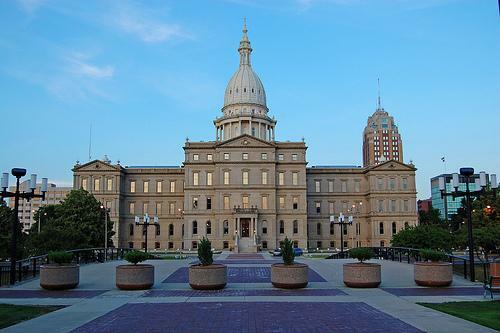 Every Wednesday we speak with Michigan Radio's Political Analyst Jack Lessenberry about what's going on in state politics. This morning, we take a look at whether improved rail service can lead to a healthier state economy, what to watch for in next Tuesday's election, and the latest happenings in Pontiac, where that city's emergency manager has fired some department heads. Every week on What’s Working, we take a look at people and organizations that are changing lives in Michigan for the better. The Luella Hannan Memorial Foundation in Detroit has been around for 75 years. People who work at the foundation describe it as a center for creative aging, an opportunity for seniors to learn new ways to creatively express themselves as they grow older. Christina Shockely, host of Michigan Radio's Morning Edition, spoke with Rachel Jacobsen, the community development coordinator at the foundation. Jacobsen said that proactive aging allows seniors "to exercise the more creative parts of their minds and bodies in ways that help them age well and also, hopefully, continue to develop into old age." Ken Lampar is the director of Macomb Literacy Partners, a program that helps adults learn to read and improve their literacy skills. Nearly 70,000 adults in Macomb County are functionally illiterate, meaning they can’t perform tasks like filling out a job application or reading a perscription. Though literacy rates vary across the state, an estimated 8% of adults in Michigan lack basic reading skills. Food Gatherers, a Southeast Michigan food bank, offers a job training program for youth ages 17 to 24. Some participants are currently managing a mental illness, others have children or are primary caregivers for younger siblings—all are at risk for homelessness. Christina Shockley, host of Michigan Radio’s Morning Edition, speaks with Mary Schlitt, director of development for Food Gatherers. Every Monday in our What’s Working series, we talk to people and organizations across the state that are changing lives for the better. This week, we speak with Sue Schooner. Schooner never liked kids, but she started volunteering with a girls group in Ann Arbor a few years back, and the young women found a way into her life... and they never left. So, Schooner quit her job as an auto executive, and is now the executive director for “Girls Group,” a program that mentors and supports high school girls, giving them the opportunities they need to attend college. “I think part of why the program is so successful is that we provide wraparound programming. So we have discussion groups every single Friday about parent communication, anger management, we have a very intensive college prep program which is basically available seven days a week,” Schooner says. Do we really learn anything from political memoirs? What can you really learn from a political memoir? Are they filled with honest introspection or just self-congratulatory drivel? To help us answer these questions, we called up Craig Ruff, Senior Policy Analyst with Public Sector Consultants. Union leaders at General Motors' factories across the U.S. are endorsing a tentative contract with the automaker. In an unprecedented press conference yesterday, UAW President Bob King discussed details of the 4-year-contract. The rank-and-file will vote in the coming days. 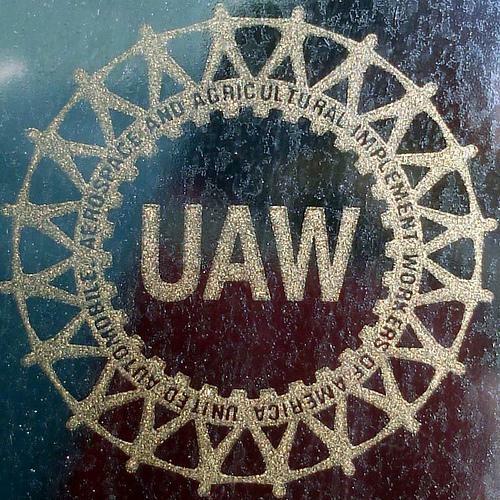 General Motors is the first automaker to reach a deal with the UAW. And, these negotiations are the first since the federal government stepped in to help GM and Chrysler through bankruptcy in 2009. We caught up with Tracy Samilton, Michigan Radio's auto reporter, to talk about the tentative contract and what it means for GM, the UAW, and the state's economy. You’ve probably seen news outlets asking for your opinion, or asking you to share your story with them. More and more, media outlets are asking YOU for your personal stories to help them tell the news. Michigan Radio’s Changing Gears project has recently started trying it out with the Public Insight Network. It’s all about using social media to reach out to you. The goal is to tell a more compelling news story because it includes examples and real-life experiences. To find out more about this trend in information-gathering and whether or not it's a good thing for a news-consumer, we caught up with Cliff Lampe, an assistant professor at the School of Information at the University of Michigan. Imagine being picked up by police for a crime you did not commit. You plead your innocence, but no one believes you. Now imagine you're convicted and sentenced to prison for that crime. For our What's Working series, Michigan Radio host Christina Shockley spoke with David Moran, the co-director of the Michigan Innocence Clinic. The Clinic, at the University of Michigan Law School, aims to overturn the convictions of people who were wrongfully convicted. It's estimated that 1,500 people currently in Michigan prisons were wrongfully convicted. You can hear the interview with David Moran above. And here's a video from the Michigan Innocence Clinic on the case of Dwayne Provience who spent ten years in prison for a crime he did not commit.